Last admission is 45 mins before the Gallery closes. Free. Special exhibitions prices vary. The National Portrait Gallery houses portraits of significant figures from the late 15th century to the present day. This isn't the place to come for serious works of exceptional artistic merit - the overriding aim of the National Portrait Gallery is to reflect the status of the sitter, not the artist - but where else in London could you hope to find The Beatles, Henry VIII, Sir Richard Branson and JK Rowling all hanging out together? The appeal of this gallery (opened in 1856) rests simply in its comprehensive commemoration of British history from the late 15th century to the present day through the medium of portraiture. The sense of progression and the feeling of familiarity with many subjects are what make the gallery so appealing. 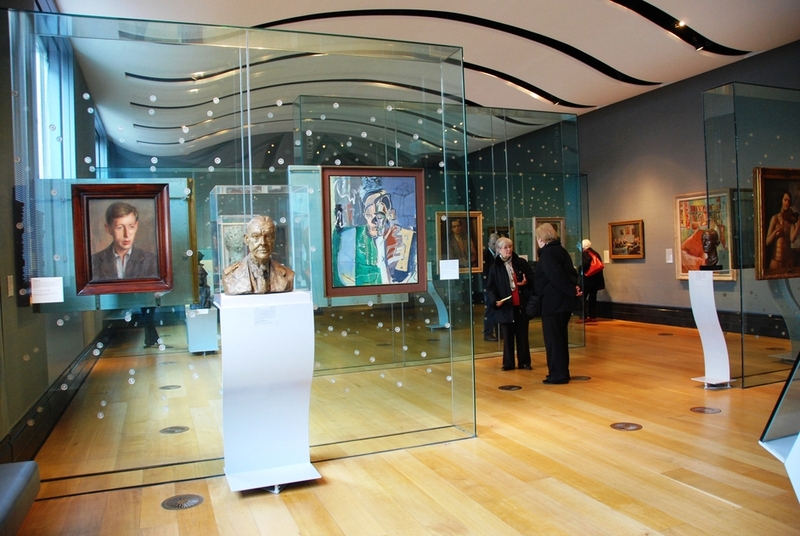 Having said that, critically acclaimed self-portraits by William Hogarth, Sir Joshua Reynolds and other notable British artists are also displayed alongside the 10,000 portraits of everyone from statesmen to showbiz stars and media barons. The collection represents Britain and is arranged thematically, starting with the Tudors and ending with present day politicians and pop stars. Look out for the only surviving portrait of Shakespeare taken from life in The Ondaajte Wing, the Hans Holbein cartoon of Henry VIII, the anamorphic portrait of Edward VI, and the sculpture of Queen Victoria and Prince Albert in medieval costume. Photographs, caricatures, drawings and sculpture are included in the collection which also boasts 250,000 archived images. The National Portrait Gallery also hosts the annual Portrait Prize competition alongside ever-changing collections of contemporary work. Best for: Accessible art, portraits and posing, Shakespeare and showbiz. What are the best dining options near National Portrait Gallery London? National Portrait Gallery gyms, sporting activities, health & beauty and fitness. The best pubs near London National Portrait Gallery. National Portrait Gallery clubs, bars, cabaret nights, casinos and interesting nightlife. Where to have your meeting, conference, exhibition, private dining or training course near National Portrait Gallery. From cheap budget hotels to luxury 5 star suites see our discounts for National Portrait Gallery hotels, including St Martins Lane, A Morgans Original from 83% off.